State Department warns against destabilizing the situation' in Judea and Samaria, as sixth day of search continues. The United States on Wednesday called on both Israel and the Palestinian Arabs to "show restraint" as Israel tightened their grip on Hamas hunting for three kidnapped teenagers, AFP reports. "We recognize this is an incredibly sensitive and difficult circumstance on the ground, and we feel all sides should exercise restraint," State Department spokeswoman Jen Psaki told reporters. Israeli troops have pressed their biggest arrest operation in years, imposing a tight lockdown on huge swathes of Judea and Samaria in the hunt for the three boys kidnapped six days ago. 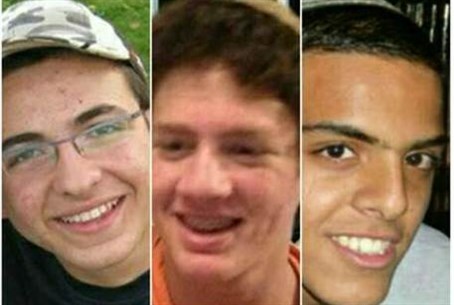 So far, there has been no claim of responsibility for the teens' disappearance. However, Israeli Prime Minister Binyamin Netanyahu revealed Sunday afternoon that Israeli intelligence had identified the kidnappers as Hamas members. "Hamas terrorists carried out Thursday's kidnapping of three Israeli teenagers. We know that for a fact," said Netanyahu in an official statement. "These teenagers were kidnapped and the kidnapping was carried out by Hamas members. Hamas denials do not change this fact." Since the Israeli searches began early Friday, troops have arrested 240 Palestinian Arabs - most or all of whom are affiliated with Hamas - as well as searched more than 800 locations and raided 10 Hamas-run institutions, the army said. Gilad Shaar and Naftali Frenkel, both 16, and 19-year-old Eyal Yifrah, went missing late Thursday from a popular hitchhiking spot near Gush Etzion. Psaki confirmed Wednesday that Frenkel is also a US citizen and said US officials had been in touch with his family. "We urge both sides to exercise restraint and avoid the types of steps that could destabilize the situation," she warned. The US has been notably quiet about the kidnappings, drawing intense criticism from both Israelis and American Jewry over what many see as a blasé attitude toward the situation. While President Barack Obama has yet to release an official statement on the abduction - despite the fact that six days have passed - US Secretary of State John Kerry condemned the kidnapping on Sunday. "As we gather this information, we reiterate our position that Hamas is a terrorist organization known for its attacks on innocent civilians and which has used kidnapping in the past."